The National Beef Association (NBA) has announced that the 2017 NBA Beef Expo will be at the heart of the Midlands, and agricultural excellence, in Stoneleigh, Warwickshire. This, the UK’s major annual event held on behalf of the British Beef Industry, will take place on Thursday 18th May 2017. 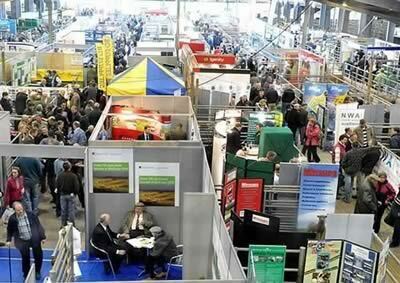 The farm tours, always a key element of the event, will take place on Wednesday 17th May. Being Britain’s first major dedicated Beef Event post Brexit, there will of course be a focus on what this means for British Beef Farmers in terms of opportunities going forward. This is the first time that the Midlands have hosted this event for many years. The 2017 NBA Beef Expo will celebrate the very best that the British Beef industry has to offer, showcasing tremendous stock farms on the farm tours, and covering in depth all aspects of the industry itself. The NBA Beef Expo is considered a highlight of the Beef industry calendar for both pedigree and commercial breed societies to promote the quality of their cattle and visitors can expect to see some of the finest examples of British breeding anywhere in the UK.